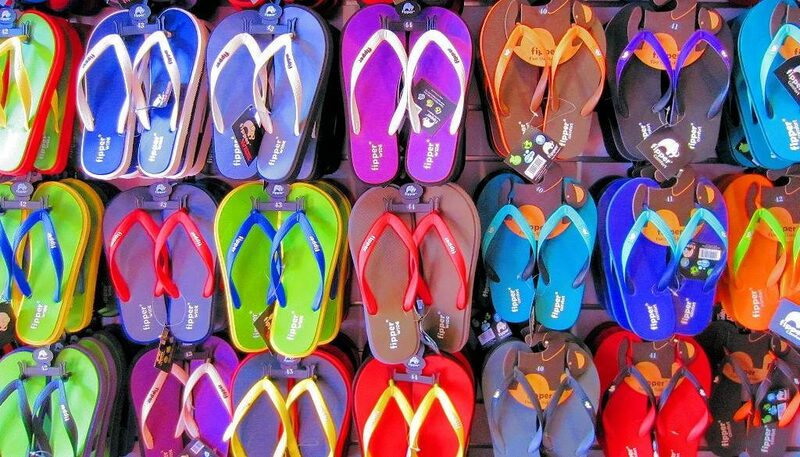 Flip-Flop season is here! 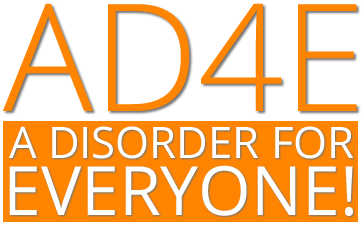 • A Disorder For Everyone! which raised as many questions as it answered. Her position on diagnosis seems to shift with each point she makes, and a number of people have challenged her apparently contradictory statements. Dr Watts argues that there is a continuum of useful and apparently benign diagnoses such as obsessive-compulsive disorder and depression which can in fact be experienced as validating suffering and giving access to help, to supposedly deeply oppressive and stigmatising ones such as the outdated notion of “schizophrenia” and the all too common ‘borderline personality disorder.’ Yet any diagnosis of ‘mental illness’ can lead to discrimination, stigma, defamation, and stereotyping. Even ‘depression’ and ‘OCD’, however sympathetically delivered, can lead to consequences such as dependence on prescribed drugs while obscuring the real causes of people’s difficulties. Add to this the real risk of one’s “depression” morphing into a full blown “serious mental illness” called “bipolar disorder”, a sticky label associated with a lifetime of drug induced chronic rebound depression. Dr. Watt’s hierarchy of stigma, with the diagnoses of ‘serious mental illness’ or ‘disorder’ at the top, is troubling in that it pits survivors against each other for some prize of whose label is the most damaging. Is there such a thing as a useful medical myth? Members of the Facebook group Drop the Disorder agreed that useful aspects of diagnosis included permitting time off work, support, sympathy and a sense of validation, access to welfare benefits and treatment, which wouldn’t be needed if the system were changed. They argued that we should work towards supporting people in securing these needs whether they have a diagnosis or not. They also noted that while people may secure these things on condition of having a diagnosis, this is very different from saying that ‘diagnosis saves lives’. The “trade-offs” include shortened life expectancy, second-class citizen designation, heightened risk of poor physical health, poverty, isolation and falling victim to violence, all of which are associated with the stigma of being labelled and the effects of psychiatric drugs. To verify the statement that ‘diagnosis saves lives’ would include but is not limited to: an independent research institution, a well designed multi-disciplined, longitudinal study, a massive advance in intellectual technology, 1,000 participants, or one shiny new crystal ball. How many 'it gave me a sense of relief' statements does it take to balance out 'it ruined my life' statements? Several DtD members agreed that The Lancet Psychiatry’s article doesn’t tell us anything new about people finding a diagnosis, particularly the less ‘severe’ diagnoses, helpful in some ways, that some don’t, and that some have mixed views. However, the article excluded a great deal of literature on the experience of diagnosis and failed to provide any idea of the number of people who find it helpful vs harmful, which is an essential element of risk/benefit analysis. Psychologist Gail Hornstein has observed that it is no surprise that people prefer an explanation, any explanation, to none, but she astutely reminds us that if the explanation is false, there is no justification in continuing to offer it. David Pilgrim’s book ‘Experiencing Psychiatry’ (Rogers, Pilgrim and Lacey, 1992) found that 10% of psychiatric patients considered themselves mentally ill and accepted their diagnosis. So most patients do not buy into biomedical ideology. But the crucial aspect that both the Lancet and Jay Watts have omitted to mention is that THESE ARE NOT VALID SCIENTIFIC CATEGORIES. It is highly unlikely that participants were informed of this, or offered alternatives, such as formulation. One commentator reminded us that “a comforting lie is still a lie” and “there is no justification for colluding with unscientific and unethical practice.” Others felt that Watts may have felt she needed to appear reasonable/middle-of-the-road at the expense of clarity. However, they wondered whether people would still find diagnoses ‘helpful” if they were fully aware that the labels have no biological basis; that they are at best a weak guide as to what interventions will be helpful; and if a diagnosis was not typically required for access to support and benefits. As the Lancet paper makes clear, the context in which a diagnosis is given is crucial. If a diagnosis is offered carefully, with time for discussion, clear information and hope, it is more likely to be experienced positively. But speaking for myself, no matter how kindly and sensitively someone tells me what is essentially a lie, the minute I figure out that I wasn’t given the facts or provided with the true costs, losses and hardships that the lies came part and parcel with, no amount of finessing is going to it positive in any respect. The most ill conceived notion idea presented in this article for me, is the notion that the public is, should be or could ever hope to be free to choose, accept or reject a “mental illness” diagnosis. It simply flies in the face of everything we know about how the medical system operates. One would no more own the power to name their cancer than they would be free to name the particular strain of “crazy” that invaded their allegedly malfunctioning brain. This suggestion could only be uttered by someone who has temporarily forgotten their own power and privilege. Choice is a grand illusion that will save no one. “Mental illness” labels are non-returnable, tattoos carved in indelible ink on the skin of one’s life, etched into a permanent medical record, that typically outlive you in by 30 years, following and fixing themselves by virtue of genetic myth, (guilt by blood) to your children and their children ad infinitum. “Mental illness” infiltrates and poses a very real threat to one’s legal rights, freedom, bodily integrity, health and safety, employment opportunities, access to children, right to travel, personal credibility, quality of life and longevity. The idea of choice of diagnosis is also completely illogical. Since when do we choose medical diagnoses based on how the recipients feel about them? While we do need to be sensitive to the feelings of those who have based their lives and identities on a diagnosis and who still need support and welfare access, the idea of offering diagnoses based on what clients think of them is simply ridiculous, and exposes all the contradictions of the attempt to hang on to diagnosis at all costs and see if we can keep everyone happy. If we use an analogy with general medicine, imagine a doctor saying ‘Which would you prefer? A diagnosis of cancer or AIDS? Cancer is less stigmatizing so let’s go for that one.’ No, we need to be honest about the lack of validity of these terms. In any case, it is questionable whether one can make an informed choice about having, say, one’s entire personality invalidated. Or if it is possible to choose freely when diagnosis can be like an overbearing partner, taking up all the discursive space, limiting the possibility of thinking differently, and gaslighting understandable reactions to painful events in a life. Dr. Watts is aware that diagnostic labels stop patients from finding a voice of their own, leaving room for the …”need to create space for new ways of speaking about distress that foreground the effects of trauma and the socio-political context on the psyche and body, and that recognises that difference becomes disability at the point that society tries to squeeze people into one-size-fits-all boxes. We must place the power to dictate the thrust of speech firmly with the person of most importance – the person in need’. From here however, Dr. Watt’s reverts back into problematic territory by suggesting we… “hold a more tentative relationship to the diagnostic system” as opposed to dispensing with it altogether and most disturbingly suggests that we ensure access to benefits, are dependent on “severity of illness” rather than acceptance of diagnosis. As always, I have to ask, “What illness?” The US National Institute of Mental Health has stated that it will no longer fund research based on DSM5 categories because they lack scientific credibility. “Mental illnesses” are not diseases – they are social constructs. It’s safe to say that at least most of the time, a diagnosis of cancer refers to a real bodily malfunction. Conversely, all of the time, a diagnosis of “mental illness” is surreal, mythical, fraudulent pseudo-science with no grounding in reality, thus the need for the crystal ball. Despite Dr. Watt’s comment that….”some diagnoses…[have] more evidence that pathological processes are at play than with others”, there is no evidence to justify her assertion that ‘bipolar disorder’ has significant ‘neurobiological underpinnings’ except in the general sense that all human experience has neurobiological aspects. were sent to a different “specialist” where their problems and difficulties were viewed through a non-pathologizing lens such as The Power Threat Meaning Framework(link). The Power Threat Meaning framework offers a sensitive and holistic way of researching the emergence of distress and troubled and troubling behaviour. It also should prompt a more appropriate and acceptable form of mental health care (when and if we ever deal with the elephant in the room of coercive MH law). However, these are logically separate, and understanding “mental health” problems in better ways may or may not imply a particular intervention or any intervention at all. Compassionate listening and leaving people alone are moral stances in the flow of everyday life that do not inherently flow from or require credentialed therapy. These are not new ideas. Person-centred therapy has opposed diagnosis and labelling for almost 70 years and explains why diagnosis is damaging and anti therapeutic. The Power Threat Meaning Framework asserts that mental health professionals have a duty to tell people the truth as we currently understand it, and it is no longer professionally, scientifically or ethically justifiable to present these labels as if they were factual statements about people’s distress. Dr Watts would do well to adopt a similarly clear position.